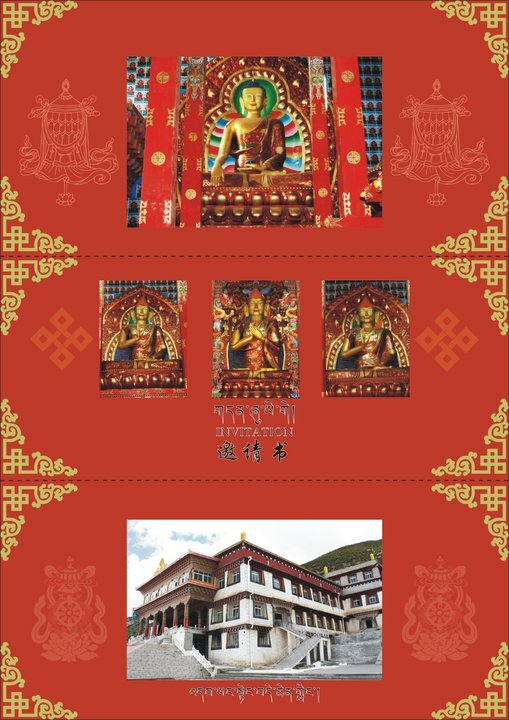 The officials of Yangting Dechen Ling have announced the date of Inauguration Ceremony of this huge mesmerizing hall on 10th August 2010, it will be a four-day long event with diverse programs. This monumental hall was built specifically in order to spread and preserve the Pure Je Tsongkhapa Tradition and pure Buddha Dharma in General. 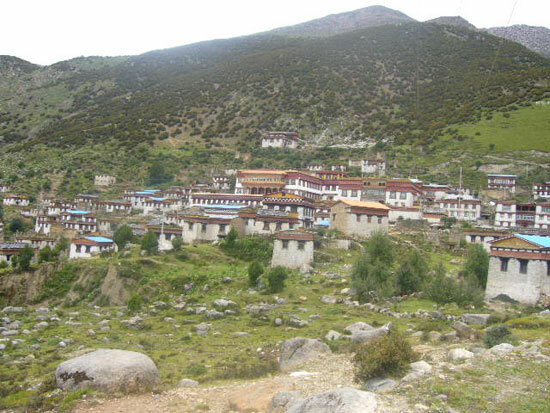 This is the Monastery in Tibet that His Holiness Gaden Trisur Lungrik Namgyal Rinpoche hails from. Gaden Trisur Rinpoche decided to keep on practicing Dorje Shugden so he has joined Shar Gaden Monastery. This is another Dorje Shugden monastery! This entry was posted on Friday, September 24th, 2010 at 11:01 am	and is filed under Monasteries. You can follow any responses to this entry through the RSS 2.0 feed. You can leave a response, or trackback from your own site. This monastery was built by a disciple of Lama Tsongkhapa eleven years after Gaden Monastery was founded. It is good to know that it has survived and is thriving. From the pictures, it can be seen that it is situated in the countryside. In its heyday, there must have been many monks. I wonder how many monks there are today. But if there is a new prayer hall, it only means that the numbers are growing and there is financial support. It’d be good to document the history of all Dorje Shugden monasteries in Tibet to find out how they are coping and what kind of resources they have. When you go to Tibet on a pilgrimage, try to include this monastery in your itinerary and give us more information. This is one more Shugden monastery that is flourishing! This is evident from the “monumental “ prayer hall which construction was successfully completed recently “after long hard work and dedications”. A four-day long Inauguration Ceremony was held for it on 10th August, this year. This great hall was built “specifically to spread and preserve the Pure Je Tsongkhapa Tradition and pure Buddha Dharma in General”. This monastery was founded by one of the foremost disciples of Je Tsongkhapa, Yogi Je Lodo Namgyal, in 1421, a few years after Sera Monastery was founded. This Monastery in Tibet is where His Holiness Gaden Trisur Lungrik Namgyal Rinpoche hails from. And His Holiness has now joined Shar Gaden so that he can continue to practice Dorje Shugden! Yangting Dechen Ling Monastery had their new main prayer hall finished in Kham, Tibet after a lot of hard work and dedications. They had their 4 day long event in an inauguration on 15th august, 2010. This new prayer hall was built to preserve the teachings of pure Je Tsongkapa Traditions and Dharma of the Gelupa Lineage. H.H. Gaden Trisur Lingrik Namgyal Rinpoche is from this Monastery. He has formed Shar Gaden now as he wish to continue to practice Dorje Shugden. 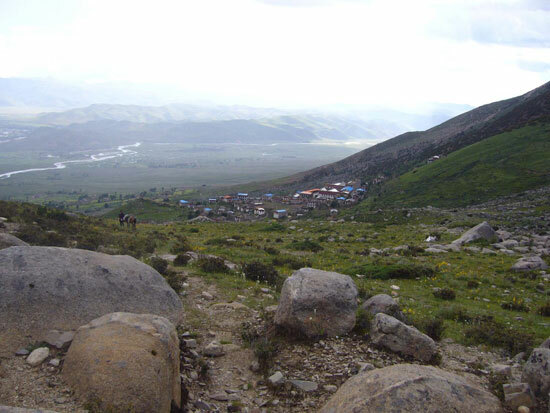 This is another Monastery linked to Shar Gaden Monastery which will lead to more Dorje Shugden pracitioners setting up their Monasteries to link with Shar Gaden in Mundgod.